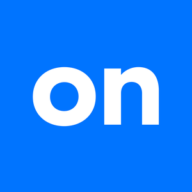 The On Deck Team announced yesterday its technology platform has delivered more than $150 million to thousands of restaurants, retailers and other service providers – a 50% increase in just 8 months. We believe the surge serves as a key indicator that our technology is part of the solution to America’s small business lending challenge. We’d like to congratulate the entire team on this significant milestone in On Deck’s history. To read about the release in full, click here.